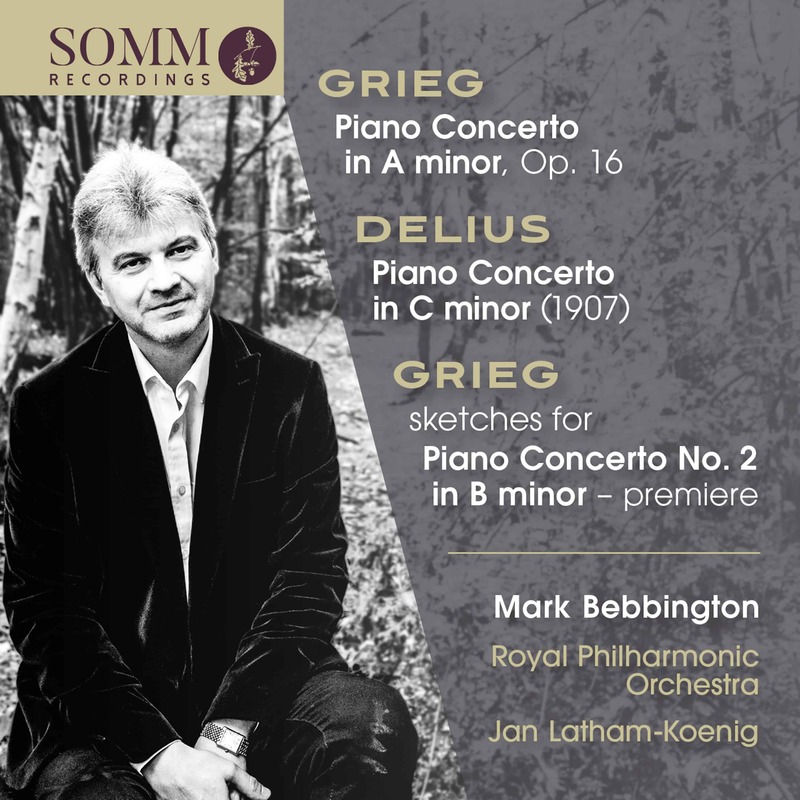 An evergreen masterpiece, an under-appreciated jewel and a great ‘what might have been’ – pianist Mark Bebbington and the Royal Philharmonic Orchestra conducted by Jan Latham Koenig explore the personal and musical connections between Edvard Grieg and Frederick Delius for Somm Recordings. Heard together on disc for the first time, the Piano Concertos by Grieg and Delius reveal the full extent of the composers’ friendship and mutual admiration. Their music seems to share and exalt in ideals of beauty and tone, scale and sentiment to produce a consummate and complementary coupling. Also in a minor key, Delius’s C minor Piano Concerto was inspired by a performance of Grieg’s Concerto in London in 1888. Grieg’s gifting of a copy of the score to Delius spurred him on to write his own Concerto. It was not easily realised, a first draft in 1897 was followed by two further revisions over the next decade before the final version heard here in a rare appearance on disc. Grieg’s mooted Second Piano Concerto was never completed, but the 150 bars he did sketch hint at what might have been. Robert Matthew-Walker has fashioned the existing material – in various stages of completion and detail – into a coherent single movement to give, for the very first time, the clearest indication of what Grieg had in mind for a work left tantalisingly unfinished. Both this and the solo piano version – also arranged by Robert Matthew-Walker – receive their premiere recordings here. Completing the disc are Delius’s Three Preludes for solo piano and Peter Warlock’s transcription for piano duet – with Bebbington joined by the young up-and-coming Malaysian pianist Irene Loh – of Delius’s most famous orchestralminiature, On Hearing the First Cuckoo in Spring.